SAN LUIS OBISPO — In recognition of extraordinary commitment and dedication, Cal Poly architecture Professor Thomas Fowler has been selected a 2019 recipient of the prestigious Wang Family Excellence Award by the California State University (CSU). The annual award, established in 1998, recognizes four outstanding CSU faculty members and one staff member who have distinguished themselves by exemplary contributions and achievements. For more than 23 years, Fowler has helped shape Cal Poly’s top-ranked public architecture program. He is nationally recognized as an influential innovator in the field of architectural education and has inspired generations of students who have gone on to achieve success in both their personal and professional lives. Fowler promotes discovery across new media and disciplines and in the service of communities. 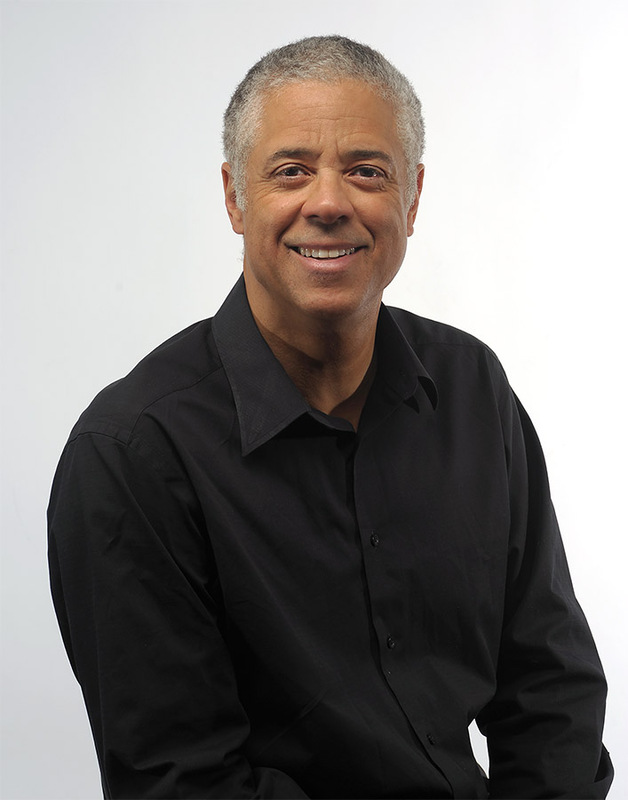 A longtime champion of collaboration, he engages students and colleagues from across the university — including those in such fields as English, computer science, business, engineering and construction management — in the architectural design process. In 2014, Fowler helped create the design for the future Same Polytechnic College in Tanzania, Africa, a collaboration that included Cal Poly, industry partners and a nonprofit client. Cal Poly students in the CAED and the College of Engineering are creating a master plan and designs for classrooms, laboratory spaces, support facilities, site infrastructure and on-campus housing for 1,200 students. Fowler’s passion for education extends to assist underserved communities as well. Internnect, a program he developed with a former student, exposes high school students to the architecture profession. The free program brings more than 60 participants to Cal Poly twice a year. Additionally, Fowler worked with Skidmore Owings and Merrill (SOM) to create the SOM Advanced High-Rise Professional Design Studio, where fourth-year Cal Poly student interns earn academic credit. The award winners will be honored today, Jan. 22, in a ceremony at the Chancellor’s Office in Long Beach. Each recipient receives a $20,000 award. Fowler is one of three Cal Poly faculty members to receive the Wang Family Excellence Award since its inception. Music Professor Craig Russell was selected in 2007, and kinesiology Professor Suzanne Phelan was named a winner in 2018. Over the years, Fowler has received 18 teaching awards, including the 2018 Cal Poly Distinguished Teaching Award. He was named one of the nation’s 25 most admired educators by DesignIntelligence in 2012. Fowler is a licensed architect and has earned his bachelor’s degree in architecture from New York Institute of Technology and master’s degree in architecture from Cornell University. For more about Fowler, visit https://architecture.calpoly.edu/faculty/fowler. 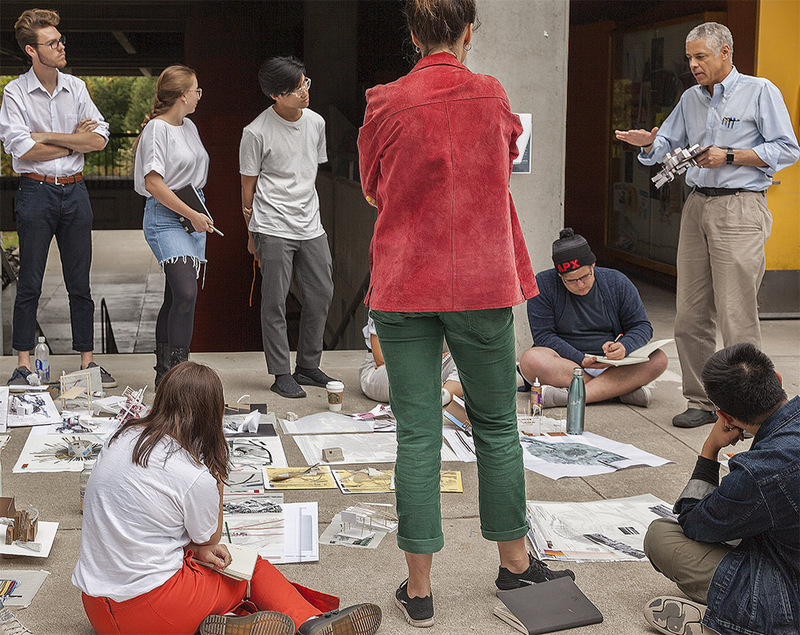 Thomas Fowler, IV, shown right, engages with architecture students outside of their design studio on the Cal Poly campus. The Wang Family Excellence Award was established in 1998 by then-CSU Trustee Stanley Wang, who contributed $1 million to recognize the remarkable contributions of the CSU’s faculty and staff over a 10-year period. Wang reinstated the award in 2015 and, in January 2017, he endowed the program with a $2.5 million gift, allowing the CSU to recognize outstanding faculty and staff for years to come. For more information, visit https://www2.calstate.edu/csu-system/faculty-staff/wang-award/Pages/default.aspx/index.shtml. Architecture is one of five departments in the College of Architecture and Environmental Design. The unique combination of disciplines makes possible an integrative and interdisciplinary approach to the study of architecture – an approach that provides our graduates with a balanced education. Cal Poly’s commitment to Learn by Doing provides an emphasis on hand-on, project-based learning that amplifies the interdisciplinary opportunities offered by the college’s five departments. For more about Cal Poly’s Architecture Department, visit https://architecture.calpoly.edu. With more than 1,900 students, the College of Architecture and Environmental Design (CAED) offers a unique blend of eight degree programs in five closely related departments: Architectural Engineering, Architecture, City and Regional Planning, Construction Management, and Landscape Architecture. For more than 70 years, the CAED programs and 16,000 alumni have been a positive influence on the forces that shape the planning, design and construction worlds. For more information, visit http://www.caed.calpoly.edu/.